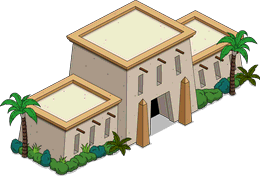 A new set of prices from the egyptian era has appeared in the tracks and their walktrough appears right after the jump! Chalmers: SKIN-NER! I want you to teach at the new Egyptian school. Skinner: New?! But it’s thousands of years old. Chalmers: In that case, you’re extremely late. I have to dock you thousands of years of pay. You understand, I’m sure. Skinner: These papyri are all First Dynasty. Some things never change. Lisa: Oh my goodness – it’s the Orb of Isis! Homer: Eh, you seen one, you seen ‘em all. Lisa: Dad, it’s four thousand years old. Homer: What does it want, a medal? 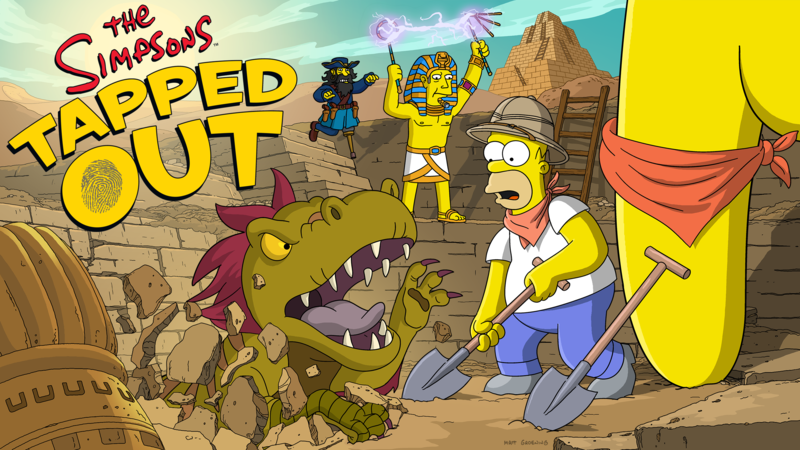 Lisa: Why are you being so blasé in the face of archaeological wonder? Homer: I ‘unno. Makes me feel like a big shot, probably. Ned: Oh my stars, it’s the burning bush! Lisa: It’s a burning tree, actually. Ned: Just let me have this one, okay, Lis? I try not to crap all over your Buddhism stuff. Skinner: Simpson! How dare you vandalize this priceless artifact? 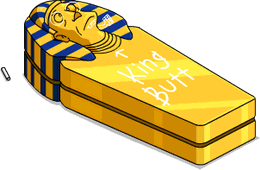 Bart: Because it reminds me of you. Which is kind of sweet, when you think about it. Bart: Yeah, well, I’m already running away. Lisa: Is that one of the temples of Abu Simbel?! Homer: Yup. I left the other one in Egypt ‘cause, you know, nice guy. Lisa: How did you possibly get it here? Homer: Ask Sky Finger. Anyway, what’s done is done. Might as well make a little cash. Abu Simbel maybe would have wanted it that way? Mr. Burns: Smithers, when I die, you’ll bury yourself alive with me, like the ancient lickspittles of old, won’t you? Smithers: Do you really have to ask, sir? Lisa: Dad, I can’t believe you’re CHARGING people to see this historic landmark. 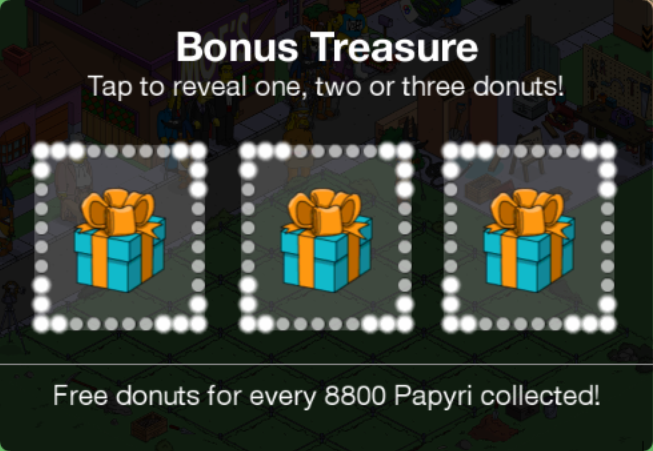 Homer: Really? It seems like something I’d do. 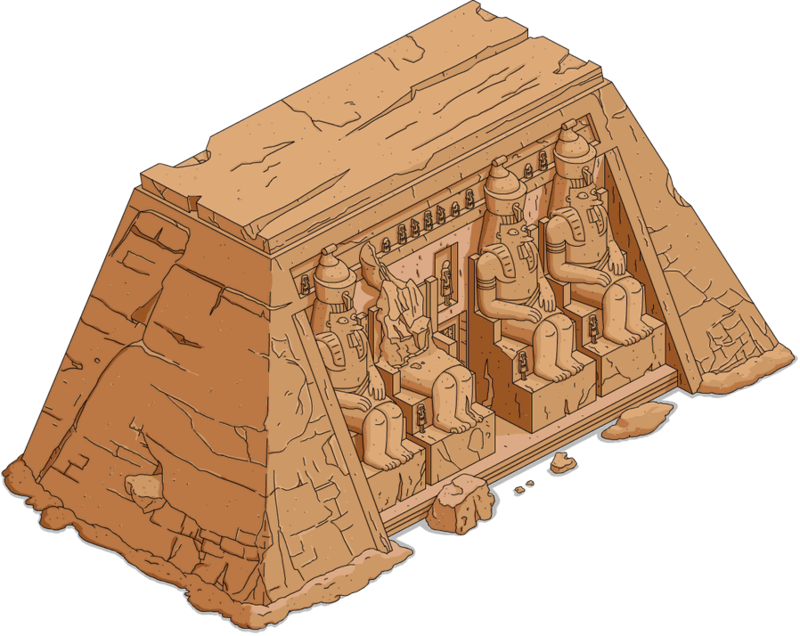 Lisa: It’s a priceless Nubian monument, that’s survived earthquakes, flooding, and the test of time for thousands of years. Homer: I hear what you’re saying, sweetie. Homer: Ten bucks a head! Homer: After careful consideration, I’ve decided to do the right thing and donate the temple to the museum. Bart: Why the sudden change of heart? Lisa: He was up late last night, watching Abbott and Costello Meet the Mummy. Homer: The mummy is standing right behind you, Costello! Turn around! Turn around for God’s sake! Previous Time Traveling Toaster: New and returning items in the store!